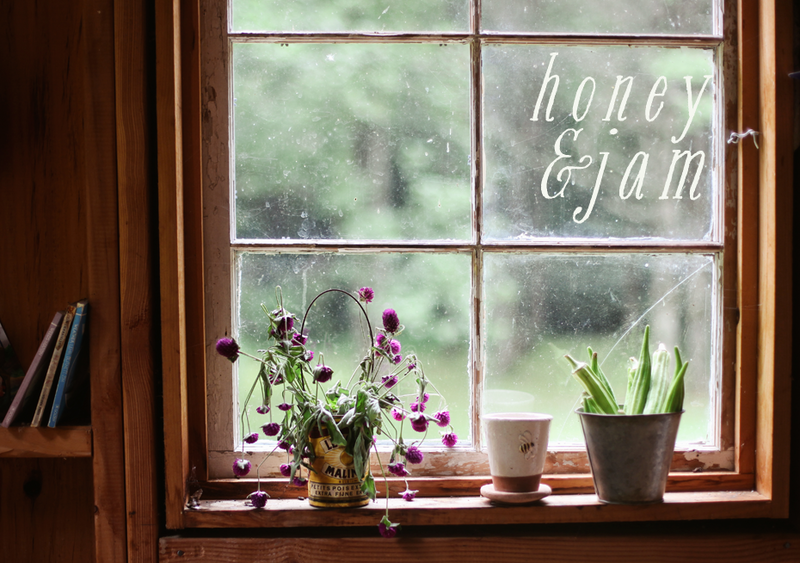 honey & jam | recipes + photos: Lime Cookies, plus a giveaway! Lime Cookies, plus a giveaway! Spring is upon us here in the south, trees are blossoming, the daffodils are blooming, the days are longer. It’s lovely. I’m celebrating the best way I know how - baking cookies. Really, really good cookies. They might be my new favorite. They are sweet, with a little bit of tang from the lime zest, crisp and crunchy. Perfectly balanced, and perfect for a spring day, maybe easter brunch? They are also really gorgeous, pale centers, with flecks of green, and dark brown edges. 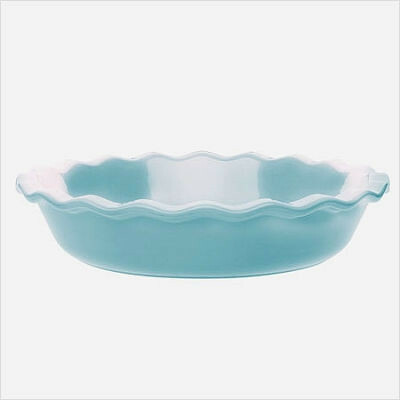 Also to celebrate, and because I like y’all so much, I’m giving away this lovely light blue Emile Henry pie dish, courtesy of CSN stores site, cookware.com. Check out all their awesome cookware, and also their home bars. Thanks CSN! 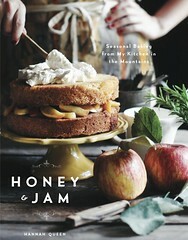 Enter a second time by tweeting about the giveaway to @honeyandjam AND leaving a ANOTHER comment on this post. No entries after 11 pm EST this Friday, April 2nd. Mix the flour, sugar, salt, and lime zest in the bowl of a food processor. Pulse 10 times to reduce the zest to smaller pieces. Add the butter and pulse until it is completely mixed into the dry ingredients, but the mixture is still powdery. Add the eggs and pulse until the dough forms a ball. Turn out the dough onto a floured work surface and divide into two equal pieces. Form each into a cylinder about 8 inches long. Clean any flour off the work surface and combine the demerara sugar and lime zest, working together with fingertips for a minute to release the lime flavor into the sugar. Pour the sugar onto the work surface in a wide line about 8 inches long. Roll one of the logs of dough in it to coat the outside completely. Repeat with the other log of dough. Wrap each log of dough in plastic wrap and refrigerate until firm, about 1 hour. When you are ready to bake the cookies, set racks in the upper and lower thirds of the oven and preheat to 350˚F. Line cookies sheets with parchment paper. Cut the logs of dough into 1/4-inch thick slices and arrange them on prepared pans about 1 inch apart on all sides. Repeat with the second log of dough, or wrap, freeze, and save it for another day. Bake the cookies until they are firm and golden around the edges, 15 to 20 minutes. After the first 10 minutes, place the pan from the lower rack on the upper one and vise versa, turning the pans from back to front at the same time. Slide the papers off the pans to cool the cookies. If you only have one pan of cookies to bake, adjust the racks to the middle of the oven. Store cookies at room temperature between sheets of wax paper in a tin or plastic container with a tight fitting lid. I can't wait to start baking pies again, using fresh spring ingredients! The blue of this Emile Henry pie dish makes me anxious to be able to enjoy the beautiful blue skies of spring. Thanks CSN and Honey & Jam for this great giveaway! Lovely cookies! I do so love your photos where the string of the teabag is out of the cup. And the wildflowers, just lovely. mmm...I think I'll make those cookies this weekend! That pie dish is adorable. And I cant wait to try these cookies! Cookies look wonderful! Nice & fresh. such a pretty pie plate! Lime is my favorite! I am certainly thinking I need to make these, and soon! Love the flirty pie plate, too! So cute, thanks! Oh! I've been wanting to make these ever since I saw So Good and Tasty's post. And that first photo is perfectly lovely - the colors, just beautiful. They look delicious, I can't wait to try them! those cookies sound so delish!!! those cookies sound delicious! thanks for the chance to win that fabulous emile henry pie dish (and for the cookie recipe)! Love pie dish and the photos. these look like the perfect mix of tart and crunchy. i'm a sucker for anything lime, and may just have to try these out for easter! I agree, GA is beautiful in the spring! I especially love it here in Athens :) The cookies look excellent, btw! What a sweet little pie dish, and those cookies sound incredible! Would you be mad if I were MOST excited about winning cookies? But the dish would rock for a marionberry pie. But cookies... yum, cookies! I saw your lime photo the other day and wondered what you would create. I am so happy you made cookies:) They look amazing! Oooh, what a lovely pie dish... I want!! I love lime cookies, well lime anything. What a beautiful plate too. I'll try and Tweet later. Lime cookies? Whaaat! I am a huge lime fan. Hannah, these looks delicious! I'll have to try them. I love lemon cookies but I've never tried lime. oh yum, botht those cookies and that pie plate are delish! Well, add me to the group of the bakers - I'm making them too, also for Easter, I think. Your first image is perfection to me. Bright, almost slightly overexposed background and the table top, but the limes are in perfect lighting. Oh, what skill you have. Can you share with me if you used a light screen for this photo? They are really, really good aren't they! Perfect with tea. I've been thinking about making more. 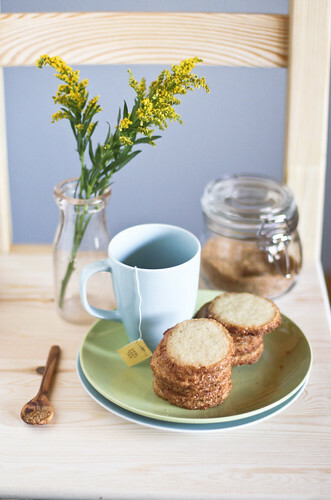 Love your shots, and that little wooden spoon is so cute! Great giveaway, that pie dish is a lovely shade of blue and since berry pie season is almost here it would be perfect overflowing with berry juice. I NEED that pie dish! I'm craving something citrus flavoured and was looking for a lemon muffin recipe but these cookies look very tempting! 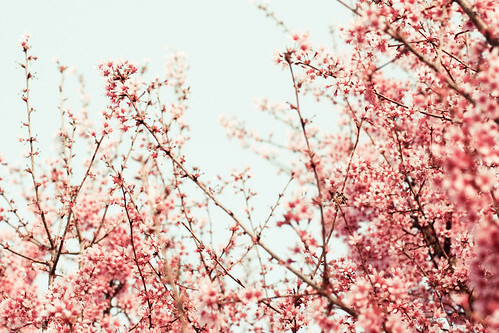 :) I'm a bit jealous of your beautiful blossom trees, they are so gorgeous! I hope I will see them here soon too. I Love that color! Thanks for the giveaway! I love that dish! It's my favorite color! Your photos are so inviting, and the cookies look good. oh, lemon pie would be wonderful in that dish! I love the look of the cookies with the sugar on the edges! Yum those look delicious! Adding it to my list of recipes to try!! I totally want to try those cookies! your photos are always so lovely. and that sweet little blue dish is divine. What a pretty pie pan! I love citrus desserts! Your cookies look great! i love this pie plate - would be perfect with the colors in my kitchen. and those cookies look amazing too! I can see it now...a pretty key lime pie in that pretty blue pie plate. The sugar coating is cool, I never would have thought of that. The last time I made lime cookies, I just coated them in powdered sugar-- which was good, but I but the sugar coating is better! I've never commented before, but i love your blog and beautiful photography! I also love that pie plate...i could make my hubby one tasty pie in that!! Love those Emile Henry dishes!! And love COOKIES!! Such a lovely dish, I would absolutely love to win it! I love EH plates. I could make the best looking casseroles in them! hello hannah :) the cookies sound so delicious! i love pretty much any citrus dessert so i cant wait to try these out! thank you! the picture of the limes is so pretty. I believe that cherry blossom picture made my heart skip a beat! I was just thinking about baking cookies this morning. Your Tart Lime Cookie recipe sounds great. Lime is good in just about everything! I've been baking pies lately -- lemon meringue, double chocolate cream -- so winning the beautiful blue pie dish would be wonderful! 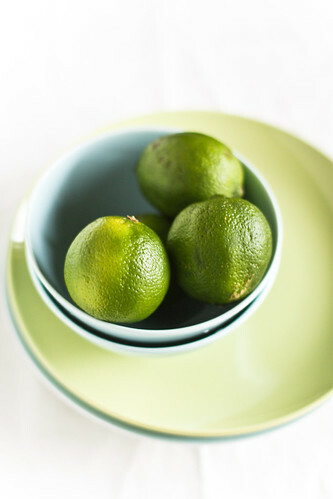 I'd love to make these for my father since he LOVES anything with lime! Thanks for the recipe and giveaway! These cookies look fantastic and the photo is beautiful! What a lovely giveaway...can't wait to try the cookies! That pie dish is the cutest thing! And I can't wait to try the cookies. I made your rustic apple cake today! Yum! What a beautiful pie pan! I love the color. Hey! I'm Dani Epstein. Read the blog religiously, but never entered a contest before so I thought I'd try it out. Oh my, those sound absolutely lovely. I've got to try them! those look amazing....i am totally going to try that recipe. what an awesome giveaway, too. Yum! I too am going to give this recipe a spin...thanks for sharing! I hope I win! Thank you so very much for the recipe. Nothing like a bite of lime with a sparkling beverage (seltzer water). The pie dish is so beautfiul. I want that pie pan!!! And I'm so making those cookies. i love the blue colour of the pie dish! so pretty! my mom has one of these in red that i've tried to steal on numerous trips home. she (and i!!) would both love me to get one. I have to enter. And to say I love those budding trees! oh my goodness these cookies are so cute!! i also blogged you. gosh, i want this pie plate. Oh! I *love* the color of that dish. i love that delicate dish!!! ohhh, i love that color blue. gorgeous. Ohhhh I love pretty dishware and I have no fun pie dishes!! that looks so pretty, and I need a new pie dish! Oh, I am so ready for summer fruit for pie! Also, lime is amazing, and I can't wait to make these cookies. Mmmmm. you can contact me at elektra13 at juno.com. I love that dish! I hope I win. i'm in the market for a pie dish! would love. ps. those cookies look deeelish. my husb loves lime-flavored anything. I've saved this recipe to try it...love anything lemon/lime. Thanks for posting it. I'd love to enter your giveaway! Your cookies look delicious. LOVE your photos. Thanks for hosting this giveaway, and have a wonderful evening! I tweeted! Thanks for the second chance to win. they look like a perfect cookie for spring. and i really do need a new pie dish. I love the tree. Blooms like that are just breathtaking. Lovely giveaway as well Hannah =D. I love lime - these cookies sound delicious! Yumm! I wish I have cherry tress like that around here. The colour is so fresh and wonderful. Thanks for the giveaway! Your pictures continue to astound me... each time I am floored at how beautiful you can make just about anything. Course these cookies look so refreshing, I'm not sure they needed the help, but for those of us who can't taste them, we happily live through your photos. what a beautiful dish! and the cookies too. they sound great. Lovely dish, and the recipe looks fabulous. Thanks for the contest, Hannah! Love the dish- love the recipe can't wait to try! oh my goodness i love the dish. i would have a lot of fun baking + photographing with this bad boy. i'd love to win this, i love blue and i love kitchen things!! I love all things blue...........and those cookies look delicious! That is an absolutely gorgeous pie dish. I might even want to make pie with it. Very pretty cookies, they sound like they'd go well with tea. Saving this recipe. Wow, those cookies look AMAZING! Yum. :) The pie plate is gorgeous as well! These look really good and I think I have all the ingredients! These look absolutely divine! Just what I needed for our Easter Brunch! That pie dish is beautiful! And those cookies look amazing. I've got a few limes sitting around here - might give it a try. Thanks! Wow, everything in this post is so yummy looking, from the blossoms to the pie plate! Oh my, those cookies look amazing. Love the photographs, as always! Lime sounds like something I would love to work with now. So fresh and bright. The spring sun makes all the difference! I sure love anything lime - and these cookies look super delicious! Beautiful styling! mmm.....so yummy! And the pie dish is beautiful! These look yummy and I am lovin' that dish!! I would love to win - blue is my favorite color! Mmmmmm. These look delicious. I've been going through a cooking (not baking) streak lately, but might have to make an exception for these. Love lime! I bet those cookies are great! Yumm! I will make those cookies soon!! And I would love to win the pie dish, I want to experiment this summer with new recipes. Great giveaway! I've made tons of lemon cookies but never lime, those look great! They do look yummy. Lime is not my favourite, but lemon. I bet they would be great with lemon. I've never had lime cookies before! They sound divine. I'm not sure what those blossoms are in the first shot, perhaps cherry? Or even plum? Whatever they are, they are beautiful and I sure wish I had a view of those out my window! As always, lovely capture, and lovely post! Happy Spring to everytone! Tweeted... craving pie, cookies, and warm spring mornings... is there a delivery service for that sort of thing? These look so delicious!!! I have to try it! Love the Emile Henry pie dish, I hope I win. I've been eyeing Emile Henry pie dishes for the past year, but haven't settled on a color. That blue is gorgeous! Your photos are always such an inspiration. i would love a special pie dish for delicious summer fruit tarts! Wow these cookies are just soo cute!! I love the photo of them!! I might need to make these one spring day! Love the lime in the cookies. spring is here!! Love lime! I also really love that pie plate. I would love to win this pie plate! And lime is my favorite dessert flavor! Love the recipe, I like anything citrus, and of course that pie dish is beautiful! I enjoy your blog! Such a pretty bowl! Just tweeted - Fitness4Looks.wordpress.com! Lime cookies sound so yummy! Love that dish! It's so adorable! What a pretty dish! Thanks for the giveaway! My first comment on your website, a friend introduced me to your blog recently and I love it! Definitely added to my favorites, and I especially love your photography, simply stunning. Also, bloggers such as yourself inspired me to start my own blog! I have only been writing for a little while, but feel free to check it out if you like. Thanks for the giveaway and the recipe!! oh the pies i would bake in that beaut! These cookies sound delicious!! I'm now dying to try them! Also, I LOVE the pie dish!! What a beautiful Spring color! And those cookies look delish too!! Love cookies that don't involve chocolate - thanks! Can't wait to try these cookies and I love the pie plate. I constantly crave lemon or lime baked goods and really want to try these. I might have to see if I can lighten up the butter load a bit though! what a beautiful dish :) thanks! These look delicious! And I LOVE the color of that pie dish almost as much as I love checking your blog! As always Hannah I love your photos!! Keep up the awesomeness! Those Cookies look wonderful! I'll definitely be making them soon.